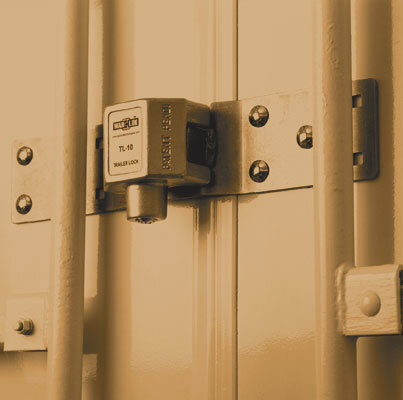 The TL-10 is a cast steel barrier box with a reusable, removable, keyed locking device that fits securely over the hasp of most trailers with swing-out doors. Once in place, the locking mechanism of the TL-10 and the trailer hasp are completely protected. A key opens and closes the TL-10. For fleets, the TL-10 can be keyed all-different, all-alike or master-keyed. 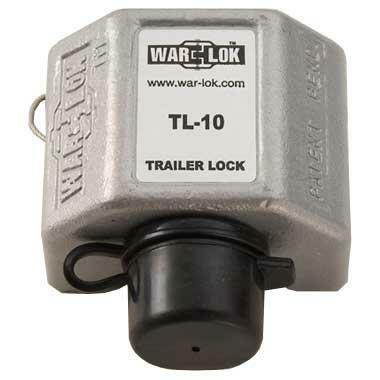 The War-Lok TL-10 is a cost-effective solution, not to mention, simple, robust and reusable. The TL-10 comes standard in powder-coated silver for color. The TL-10 includes a tether cable for attachment to the lock rods on the trailer. This helps avoid misplacement and loss of the lock. Also included is a rubber cap that covers the locks core to prevent foreign objects from entering it while driving down the road. It will not fit Utility or Freuhauf trailers.